My students always love when we learn about digraphs, because it makes them feel like such “big kids” to say they know what a digraph is (that is a pretty neat word, after all!) Plus, it really opens up the door to reading so many new words. 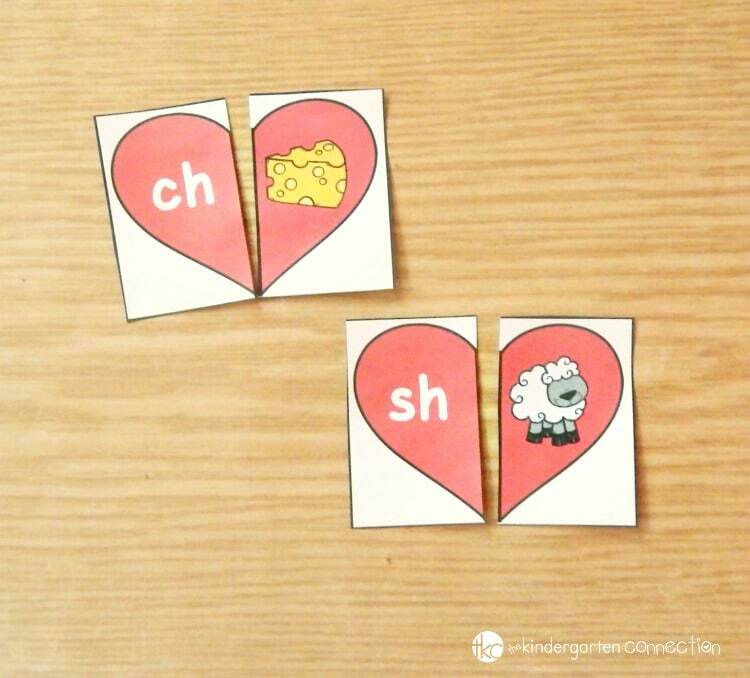 These heart-themed digraph puzzles are perfect for working on beginning digraph sounds sh, ch, th, and wh with early readers this Valentine’s Day! These heart digraph puzzles are the perfect companion to our heart beginning blends puzzles, and just as easy to prep. Just print, laminate, cut down the middle – and you have a new literacy center ready to go! This set works on matching up common beginning digraphs to their pictures. I placed it in a literacy center for my students to work on independently, but you could also use the in a small group or for partner work, early finishers, in a pocket chart – there are lots of possibilities with this simple printable! You can also easily turn these puzzles into a self-correcting activity by writing the beginning digraph on the back of the picture half in pencil or light marker. Then, students can pair up the heart halves, turn them over, and check their work to see if they were correct! 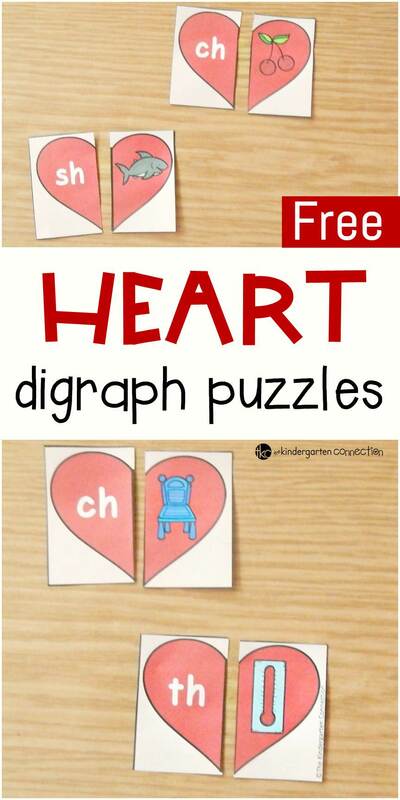 Ready for some fun, heart-themed digraph practice? Grab your copy of the heart digraph puzzles by clicking the yellow button at the very bottom of this post. Then, hop over and grab our Valentine’s Day Centers for tons more fun all month long! 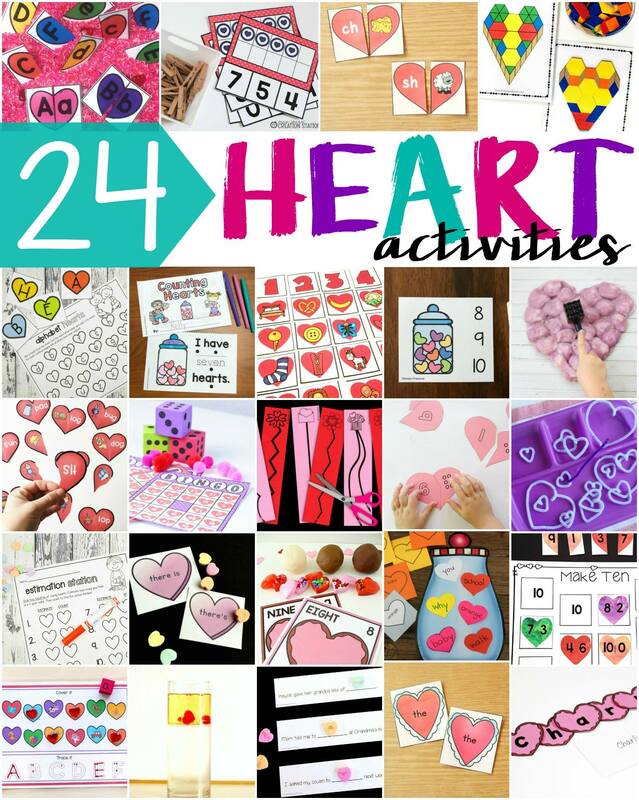 Does Valentine’s Day have you adding some heart activities into your lesson plans? Let us help you! Some of my favorite kid bloggers and I have rounded up some awesome, heart-themed fun just for you. Check out all the ideas below!